Straits Times Index up 30 point today, what are the stock that is potentially have another big run up? 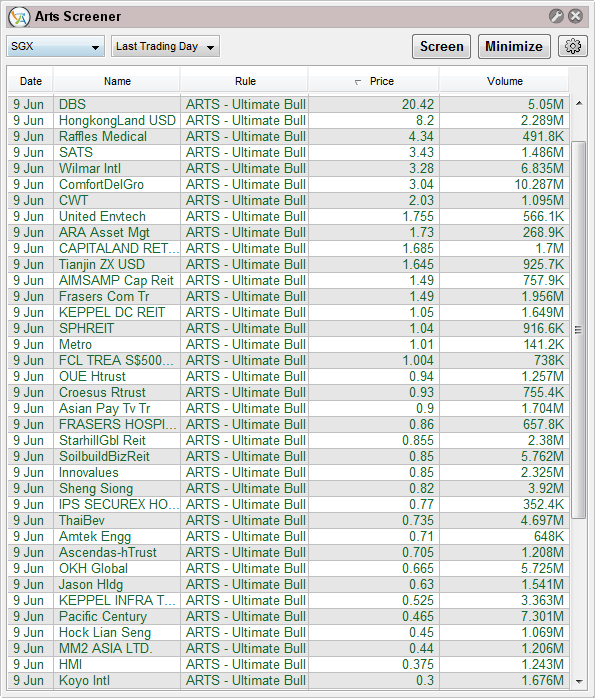 I did a scan using ART screener on Ultimate bull, the stock came out are mostly Strong up trend previously, possibly ready for continuation uptrend. 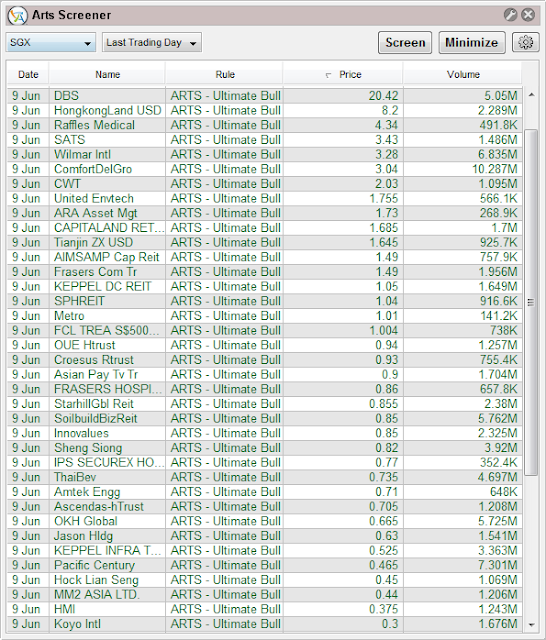 Using this list, i will use Eye ball and scan through the individual stock to see which one is more suitable for my risk appetite. China Stock Still Good? How Do we Choose?